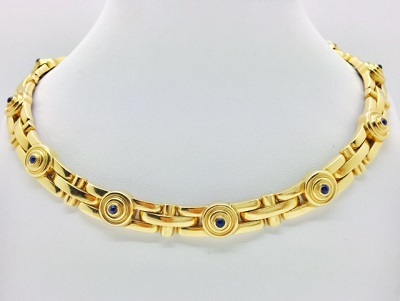 Aldebert 18K Gold and Sapphire Cabochon 2 Piece Set: Necklace and Bracelet. 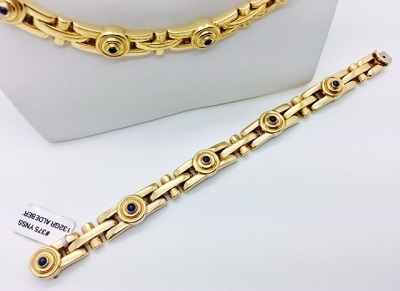 SOLD AS A SET ONLY. 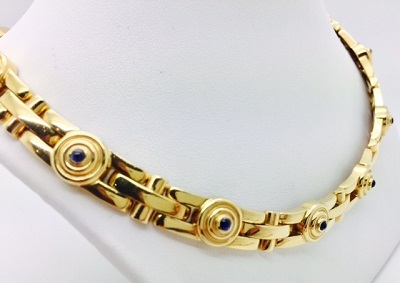 We buy, sell and trade estate gold jewelry.